Haven't seen this before. 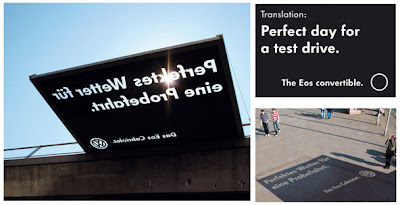 Volkswagen's billboard throws a shadow onto the ground reading "Perfect day for a test drive". Nice, although would be a bit risky to try here in Ireland given our weather.